We have ended an egg-cellent term with our annual Decorated Egg Competition. Themed categories for entries included famous people, sport, fairy tales and superheroes. Children have egg-celled themselves this year with entries such as: Harry Potter Quidditch Match, Rapunzel, Hulk, Batman, Three Billy Goats Gruff, Rugby Match, Rosa Parks on the Bus, Spiderman and Football Match. 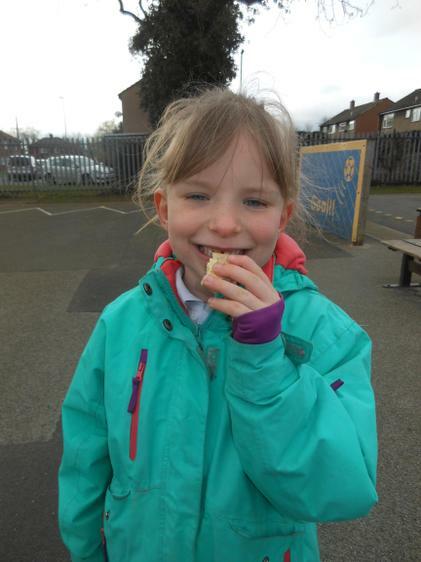 Our pupils are enjoying free bagels for a year from the government scheme run by Magic Breakfast. 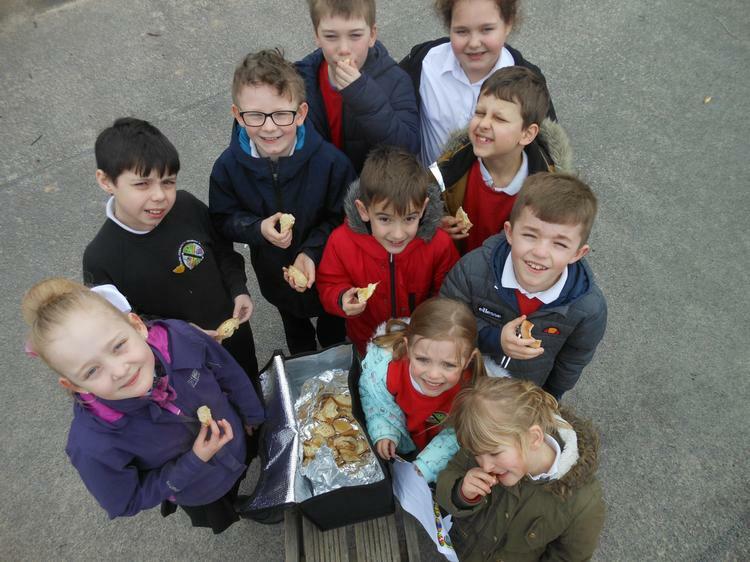 Hot toasted bagels are served by ‘bagel monitors’ on the playground every morning, and are available to all children and their families. Bagels are also available from the school office for children arriving late to ensure no child goes hungry. The children have been so excited, they have named it ‘Bagel-mania’! Our sports teams have been very busy recently, taking part in swimming galas, tag rugby tournaments and a hockey event! We are very proud that our players are such great ambassadors for the school. Well done, all of you! Thank you to everyone who supported our fundraising efforts for Comic Relief by buying red noses in school and creating crazy hairstyles for the day. We raised £304.50! To mark World Book Day 2019, we celebrated our love of books by reading stories together in the library. A Visit from the 'Naughty Bus'! Our FS2 pupils have been reading ‘Naughty Bus’ by Jan and Jerry Oke. The story and activities, including the bus visiting the classroom during the night and playing pranks, has brought the children’s learning to life. ‘This is a disaster,’ said Emilie, after the children found the bus had managed to get itself frozen in ice overnight. As a surprise for the children, we organised a visit from a London Routemaster bus. The children were very excited to get their tickets from the conductor, boarding the bus, ringing the bell, beeping the horn and reading a story on the upper deck. We have had a fun-filled week of Christmas activities. As well as a traditional nativity performed by Year 1 pupils, a Foundation Stage Christmas singalong and a Year 2 ‘Christmas Around the World’ assembly, we have also put on a Year 3 - 6 musical called ‘Poptastic’. Our pupils paid their respects by taking part in a special assembly for Remembrance Day. Poppies dedicated to relatives of our pupils were placed in our Remembrance Garden. 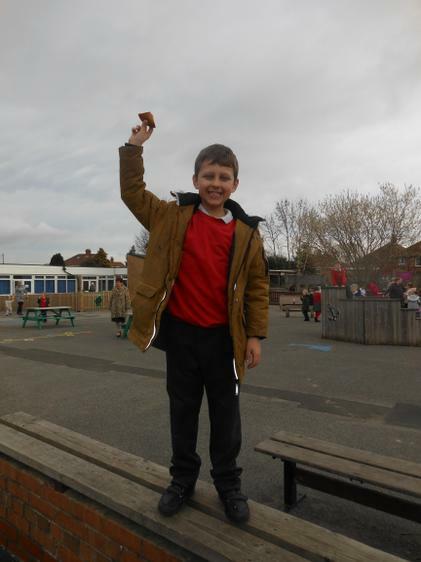 Our pupils have had lots of fun playing football this term. Teams from Years 3/4 and 5/6 have represented Colburn School with great sportsmanship and outstanding behaviour. The two teams finished third in their respective competitions. We have welcomed a new catering contractor to provide our school lunches and Breakfast Club menu; Mellors are providing a fresh, new variety of food which is going down really well with the children. The salad bar is particularly popular, with lots of children stopping to stock up on their five a day! The School Council are currently in talks with Mellors to arrange the sale of healthy snacks at morning playtime. 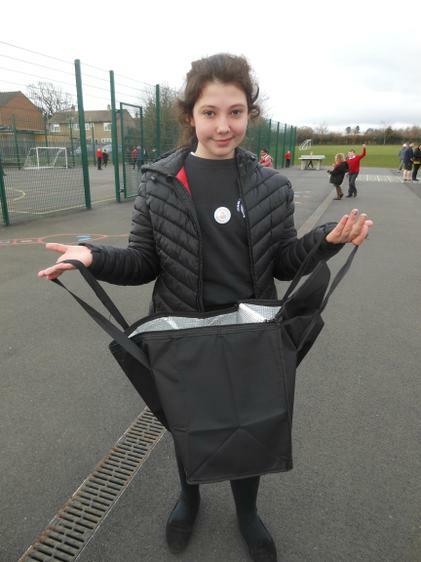 Miss Nicholas said, “Mellors are delivering a menu which is both nutritious and appealing to young children. This has resulted in more children eating fruit and vegetables as part of their lunchtime meal. 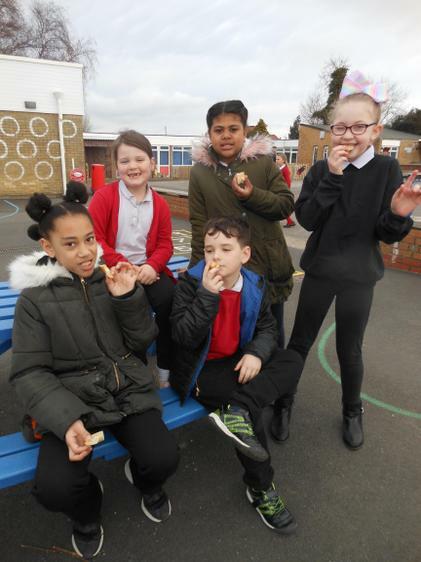 We are pleased that so many of our pupils are taking advantage of the improved meals on offer at lunchtimes and at our Breakfast Club, as good nutrition is vital to support children’s education." Welcome to Colburn School, FS2! Our new FS2 pupils are looking eager to learn. Miss Nicholas said, "All the children look really smart in their uniforms and are keen to start their learning journey at our school. I would like to thank all the parents and carers for ensuring that their children were well turned out and arrived promptly on their first day."